The Queensland Government has enlisted the Sax Institute to help reach its ambitious target of cutting the state’s smoking rate to just 8% by 2026. 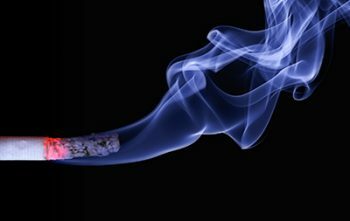 The Prevention Division of Queensland Health commissioned the Institute to develop a dynamic simulation model to inform its smoking reduction strategy. The model, developed by the Sax Institute’s Decision Analytics team, tested the likely impact of proposed policy interventions over time. The Sax Institute’s Dr Jo-An Atkinson, who leads the Decision Analytics team, said dynamic simulation modelling “draws together the best available evidence, data, and expert and local knowledge to create a ‘what if’ tool to test a range of possible solutions before they are implemented in the real world”. “This saves both time and resources,” Dr Atkinson said. “Based on the data, advice and expertise from a series of facilitated workshops with key stakeholders, we created a model to test and identify the most effective policy interventions the Queensland Government and Health Department can implement to meet their 2026 smoking reduction target. “One of our key findings is that a one-size-fits-all approach won’t be effective across differing high-risk populations. The model also highlighted the need to maintain the momentum in tobacco control,” she said. This innovative project was coordinated by the Sax Institute’s Pippy Walker in partnership with Mark West and Rebecca Whitehead (Queensland Health). The model was developed by the Institute’s Dr Adam Skinner, with contributions from Mr Mark Heffernan and Dr Geoff McDonnell, both expert advisors in computer simulation, and from Dr Lennert Veerman, a health economist from the NSW Cancer Council. Queensland has made excellent progress reducing the number of smokers. Only 12% of Queenslanders currently smoke, down from over 25% a little over 20 years ago. Despite this impressive and life-saving reduction, the work is far from complete. One of the key challenges is that smokers tend to be concentrated in certain areas and populations, including socioeconomically disadvantaged areas, rural and remote areas, and among Aboriginal and Torres Strait Islanders. The smoking rates can be two or three times higher than average in these areas and populations. Another challenge is that over time, even the most potent interventions can lose some of their effectiveness. The modelling process involved a series of workshops bringing together key stakeholders in tobacco control, including policy makers from various state government departments from Queensland and interstate, academics and others from the non-government sector. For Dr Atkinson, the collaborative nature of the process is one of the keys to its success. “Different stakeholders know their part of the system intimately,” said Dr Atkinson. Another strength of dynamic simulation modelling is that it recognises the complexity and competing priorities of any health system. “Dynamic simulation models encourage us to look at the problem with a systems lens to better understand how the broader interacting components of a system – with its embedded incentives and disincentives – can influence the health behaviours of the population as well as the behaviours of the prevention and service systems,” Dr Atkinson said. For Dr Atkinson, that’s why it’s being utilised by more and more policymakers seeking answers to wicked problems. If you would like to know more about dynamic simulation modelling or to have a discussion on how it could be effective in your policy area, please contact Dr Jo-An Atkinson at jo-an.atkinson@saxinstitute.org.au.